I’m sitting in the airport in Houston with a 6-hour layover headed to the Junior Pan Ams in El Salvador, so I thought I would take the extra time to write something that has been on my mind for a while. The Front Squat is a popular form of squatting, but I don’t believe that everyone uses it properly. I am especially talking about Olympic weightlifters, or people that use the Olympic lifts in their training. When I watch most people front squat, they simply rack the weight and squat without a thought to position. The Front Squat has way more values than building strength. The front squat should be used to perfect the catch position of the Clean as well as building strong quads and glutes. Let’s take it step by step. First, the rack should be a huge focus. I watch most people rack the bar with one or two fingers without even a concern. Every great coach knows that the optimal rack is holding the complete hookgrip. Think about it for a second, if you can keep the grip during the entire lift, the athlete can continue pulling on the bar during the pull under. Not only are you able to generate more speed under the bar, but also you are also able to control the bar ensuring a solid catch. A lot of people that release their grip, simply end up falling underneath the bar and hoping that it lands in the right position. This causes the bar to crash and sometimes it simply isn’t in the right position causing a miss. Obviously, if the athlete releases the bar, they are no longer in control of the bar. The goal is to keep the entire hookgrip, but you don’t have to start there. If you are struggling to do it, just try to improve each session. If you rack the bar with two fingers, try to go with three or four. Then you should try to keep all of your fingers on the bar, and then slowly try to keep more of your grip over time. 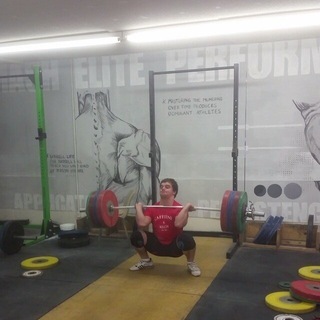 The end result is a much more fluid clean & jerk. Next, the athlete should try to keep their spine vertical during the squat. A vertical spine creates a much more stable structure to catch big weights in the clean. To perform this movement, the athlete should sit straight down with the knees tracking with the toes. The width of the feet should be equal to the catch width in the clean. Are you seeing the theme? The goal is to mimic the Front Squat not just throw around heavy weight. 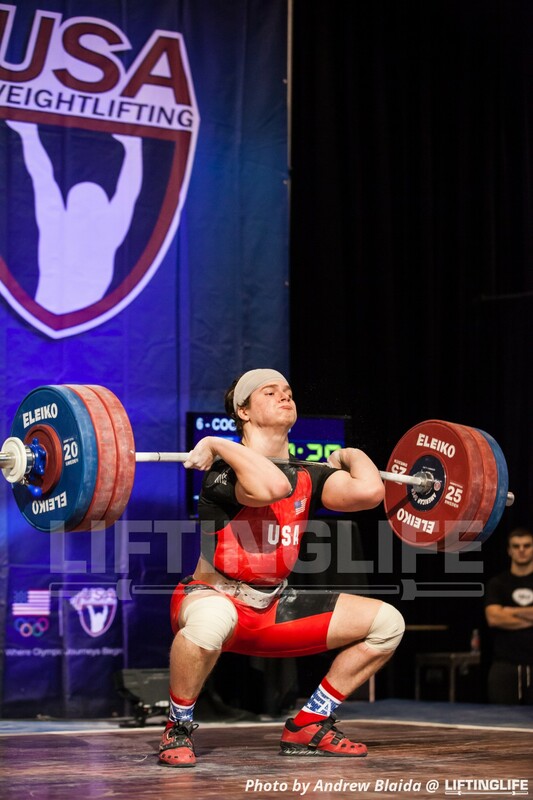 My biggest pet peeve is when people front squat with shallow depth. Why? I will tell you why. It is sheer ego that’s why. Are you front squatting to get better at the clean, or are you front squatting to impress your buddy? Use the front squat to increase your mobility while getting strong. I am the first person to encourage my athletes to go heavy, but not at the expense of depth or position. The reason that I was inspired to write about this topic was listening to Coach Smalcerz coach at the Olympic Training Center. He asked one of the lifters if he was front squatting to get better at weightlifting or general strength. Then he went on to explain the components of the front squat that I have just laid out. It’s a question that you have to ask yourself. 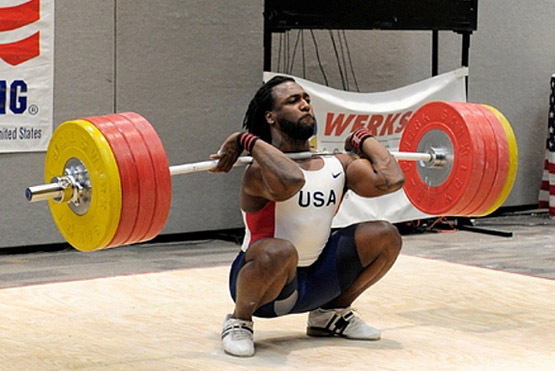 I recommend putting your ego in check and using front squat to get better at your sport. When you are training, the entire goal is to get better at your sport. Every lift you do should be a step towards reaching that goal. I am definitely a proponent of going heavy, but only if the technique stays. This message can be applied to all lifts. Train heavy, train hard, but train smart! That’s what I will leave you with. We are about to jump on the plane soon. Four of my boys from Team Mash Elite are on the Pan Am Team, and the other boys are awesome as well. Pray that we will represent our country well, and I pray that God will have all the glory.